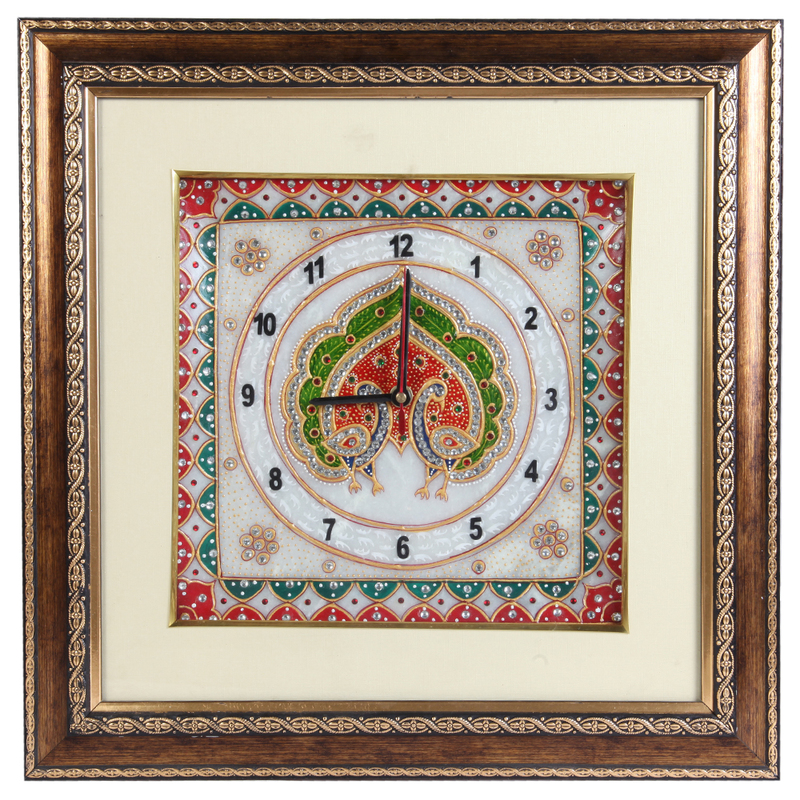 The exquisite painting of a peacock present at the center of this Marble Clock with Peacock Painting and Wooden Frame adds infinitely to its charm. Read More..The pristine marble face of the clock serves as the perfect backdrop, while the wooden frame provides nice contrast to the entire thing. Apart from being high in ornamental value, this marble clock is also capable of keeping time accurately with the LED lights at the corners providing better visibility to the users. Show Less..